Machine sharpened trocar tip and ultra-thin PTFE coating ensures low friction at insertion point and ease of use. Attached cable is .75m/2' long and terminates into a safety DIN 42 802 connector. Our Ambu® Neuroline Monopolar needle electrode features exceedingly low penetration-resistance levels thanks to the sharp, back bevel cut tip design. 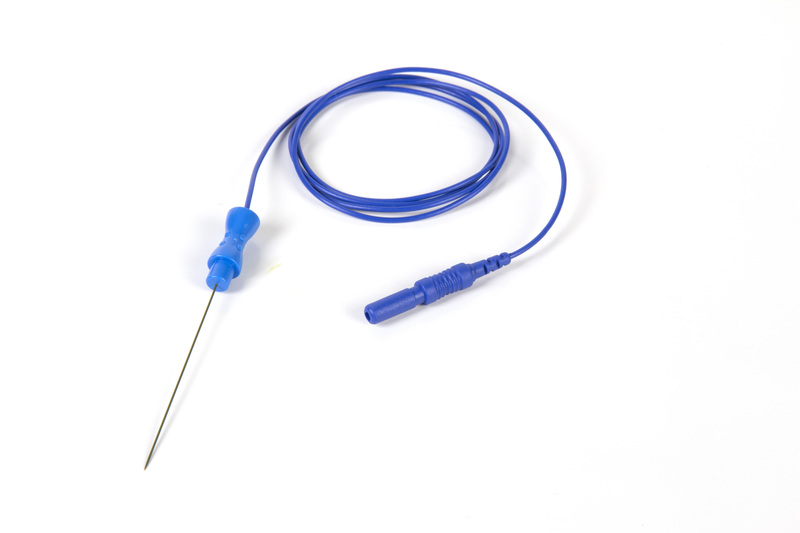 Moreover, the needles have been coated with smooth coating, which reduces friction when inserting and working in the target area and significantly improves patient comfort. Available in boxes of 40 individually sterilized and sealed needles. Machine sharpened conical tip and ultra-thin PTFE coating ensures low friction at insertion point. Attached cable is .75m/2' long and is super flexible that terminates into a safety DIN 42 802 connector. Each box contains 10 individually sterilized and sealed needles.